An important part of this project is to provide support to landowners to implement new conservation practices. 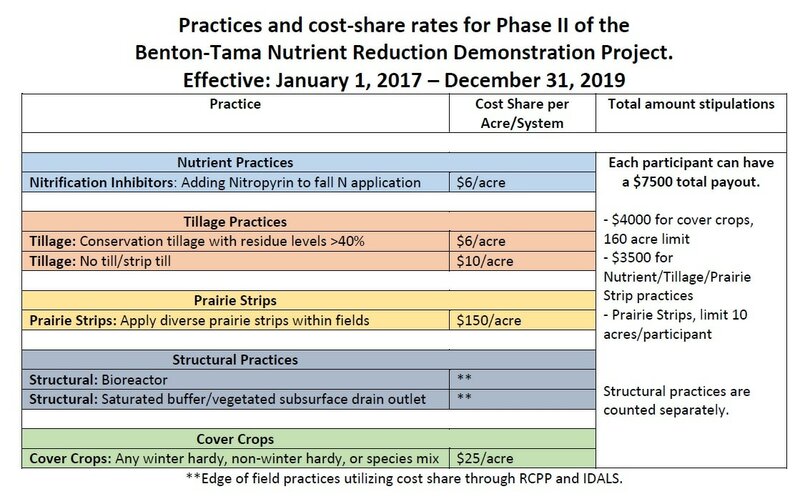 The current list includes practices for cor cover crop and no-till, as well as edge-of-field practices to help improve water quality. Pairing cover crops with no-till has the largest benefit for soil health and water quality in the long run. If you have questions or would like to sign up for one of these programs, please call or visit one of our offices and we are more than happy to help you! By getting a rye cover crop in while the beans were still in the field, this producer ensures that there's no bare ground after harvest.